A product proposal form is a type of form which is used to put a proposal for a product launch. This proposal form is given to a particular authority in an organization before launching a product. The Proposal Forms is used in various product based industries. Every organization before launching a product submits a proposal form to the concerned department. The form contains every detail about the product. Starting from the advantages, market value, target group, everything gets highlighted in the form. This form is used in the case of creative product proposal. This is a type of a form which is used before launching a particular product in the market. The form contains every detail that is necessary for product proposal. The most important part of the form is the brief that it contains. 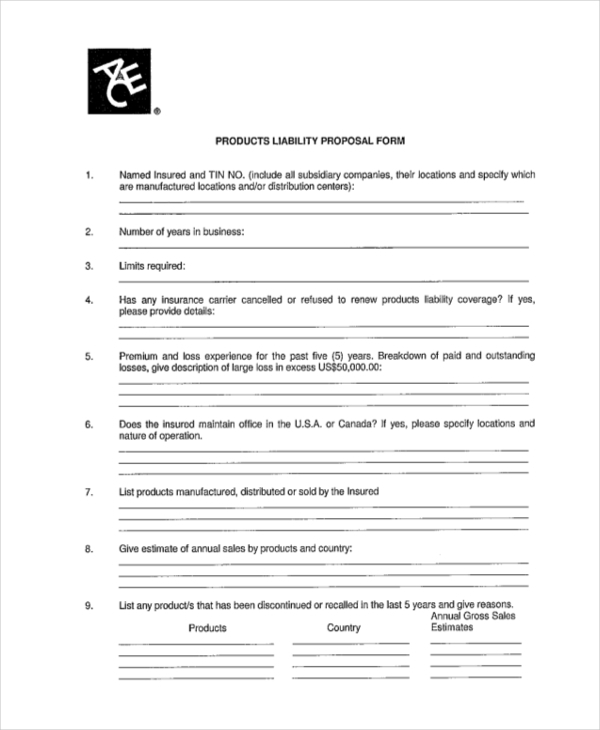 The product liability form is also used before launching a particular product. The product form is given to the concerned person in a particular department for the final approval. The person who is filling up the form is liable to the product and its uses. The form is accepted in every industry, which deals with products. 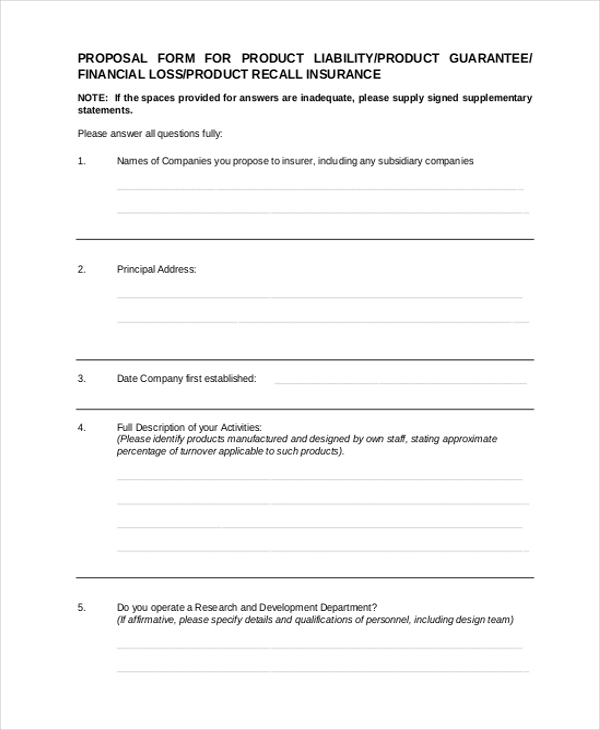 The form is used for the purpose of recall proposal. It often happens that an organization starts a recall campaign on any of its products. The form at that time is used for a proposal from a concerned department regarding the recall activity for a particular product or brand. The form is used for product guarantee purpose. 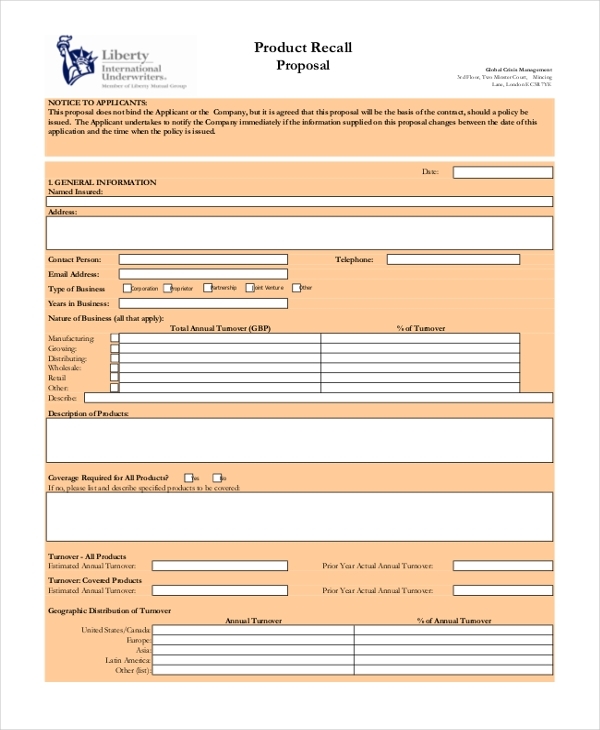 Mostly all the product based business houses use this form for the customers. All the customers’ needs a guarantee on products. 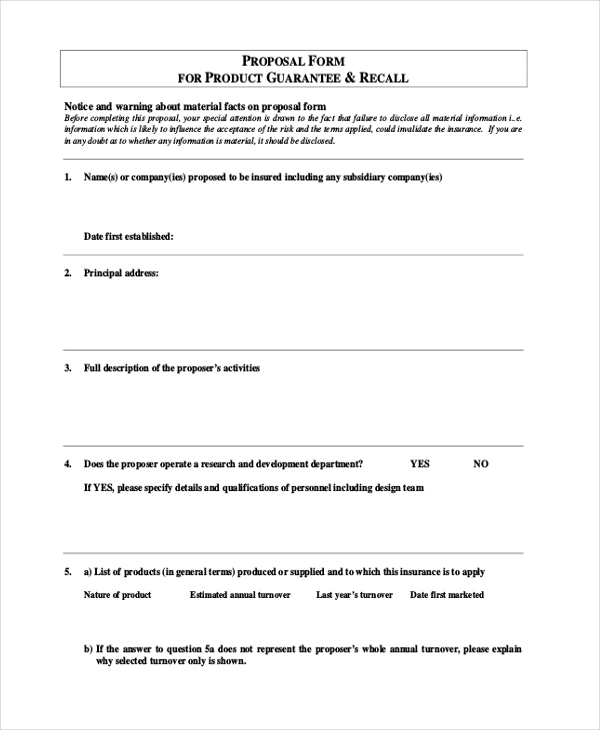 This form is used to put a proposal to the concerned authority for the guarantee over the product. This form is mainly used for a product recall. Every organization sometimes takes over the activity of product or brand recalling. 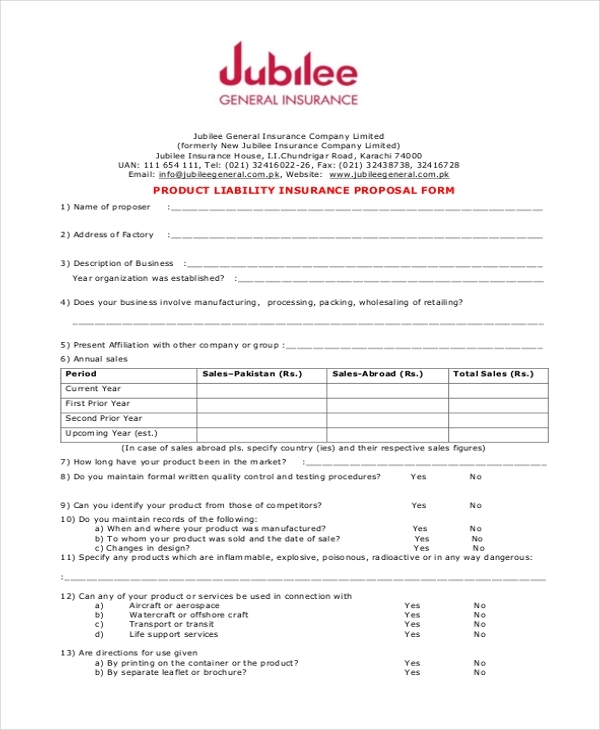 A company uses this form to submit an approval to the concerned department in order to recall the product in the concerned department. The form is mainly used for putting a proposal on the manufacturers and suppliers of products. A person or an organization may put a proposal to the manufacturers or suppliers regarding manufacturing a particular product. The form contains every detail of the proposal which is needed. 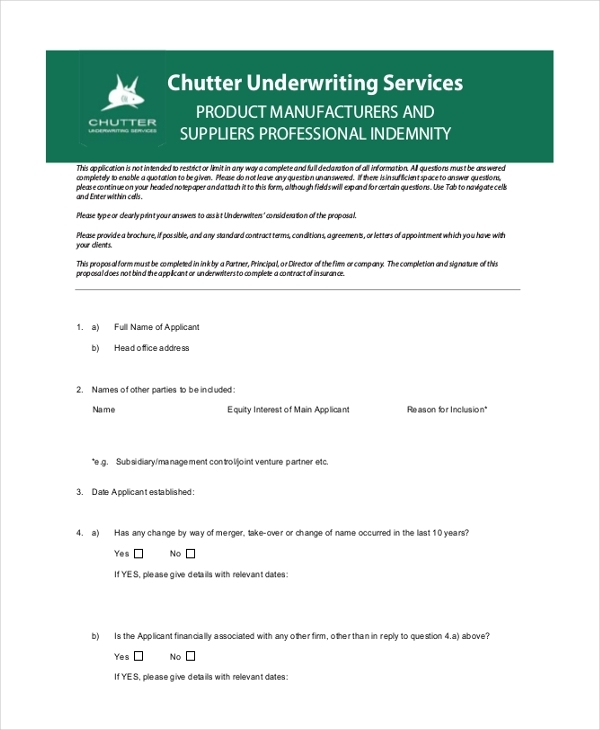 The form is best used for insurance incurred on a product. Every organization ensures a product manufactured by it. The form is mainly used to put a proposal of insurance to the insurance company. 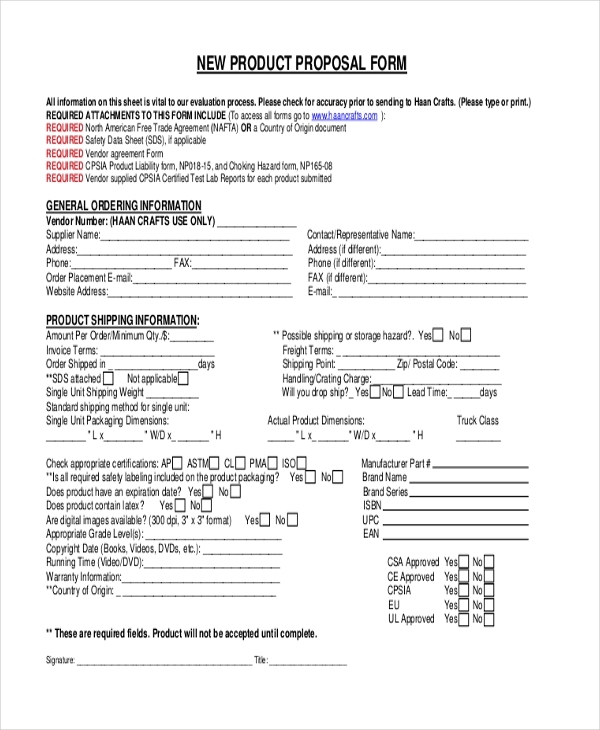 This form is mainly used to put a proposal for the launch of a new product. The form is filled with every detail of the product and then it is submitted to the concerned department for the final approval. What is a Product Proposal Form? The target audience of this particular form is very much diversified. 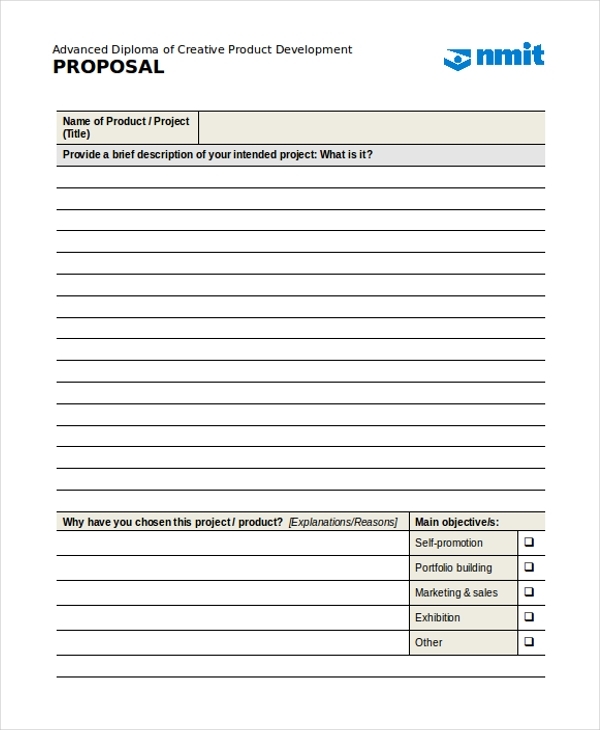 The people who are into product industry use this form for putting a proposal to the company. Based on this form, the concerned person in the department approves manufacturing of the product. A product proposal form is right now available in both word and PDF format on our website. All these forms serve various purposes and are absolutely available in customized sizes for every user. Any individual who needs this particular form can simply download it from the website and can edit it according to the requirements. The template of this form is quite popular among many people. Right now, the market has a huge demand for this type of form and people are highly satisfied with our samples. The product proposal form is the only important and a legal document which is used in putting a proposal for manufacturing a product. This form can be used in varied industries.